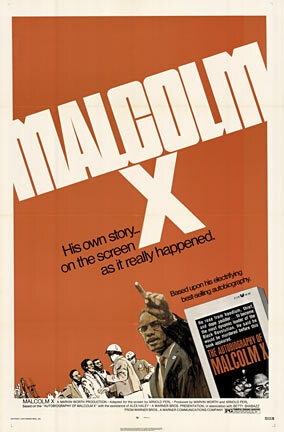 Great buys on selected posters. Learn about all of them. 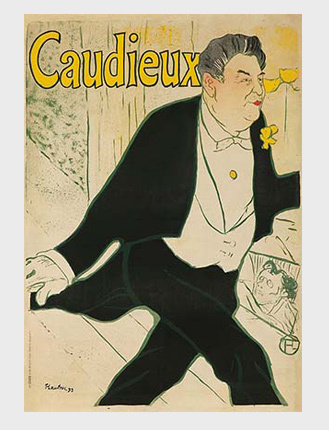 Champagne de Rochegre – Leonetto Cappiello. 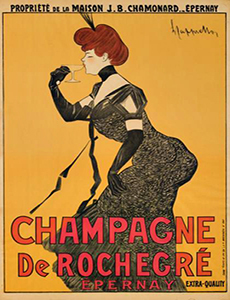 Original rare linen backed 1902 French Champagne antique poster by this notable artist. Archival linen backed 38.5″ x 54.75″ and ready to frame. A beautiful addition to any home or office. . 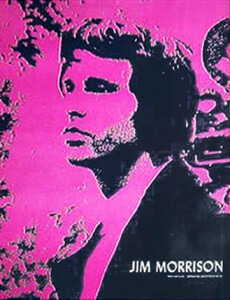 Original Jim Morrison, 1968 poster in very good condition. 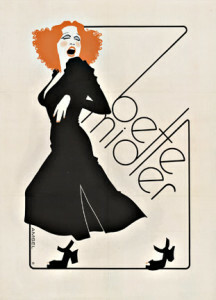 Leander Productions. No tape marks, no pin holes. 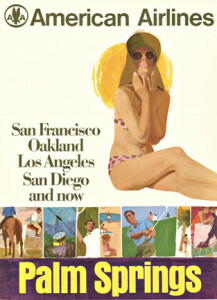 I presume that this poster was printed to promote Jim Morrison as an artist rather than any specific album. 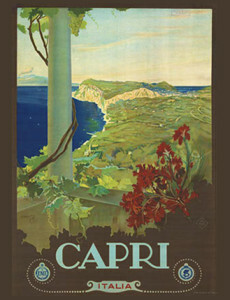 Rare original archival linen backed stone lithographic Italian travel poster: CAPRI Italia. 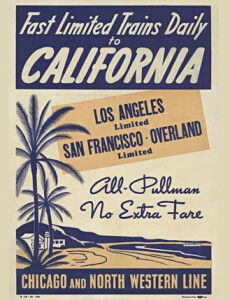 Rare, Linen backed original travel by train to California vintage poster. 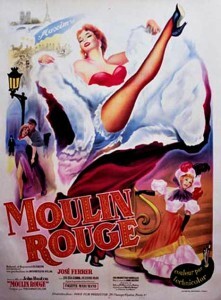 We make your experience in acquiring quality vintage posters a pleasure. 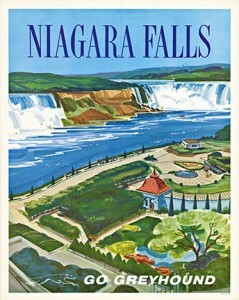 We’ve been doing this for over 20 years and have over 4,000 original works instock ready for your home or office walls. 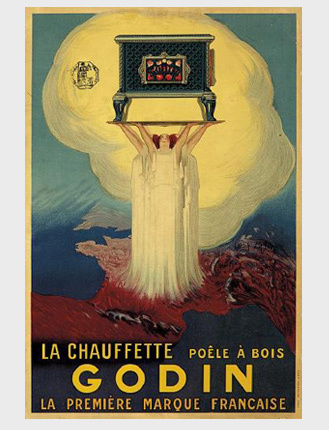 Paris Manufactured since 1840, Godin stoves work just as well heating a room as they do cooking a meal. Here, three Delphic priestesses hold aloft the product, la chauffette. The 3 goddesses are standing on the area of the world map in France. 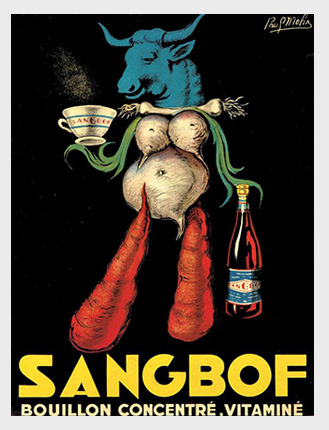 The Vintage Poster is a brick and mortar gallery where you are personally invited to view these original antique posters. 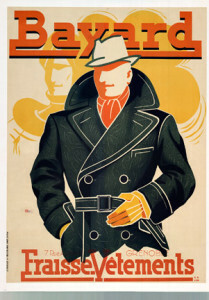 Each individual vintage poster is available for your inspection. 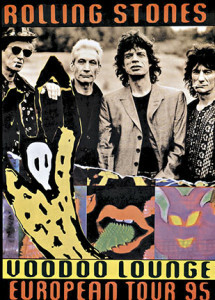 A Certificate of Authenticity with embedded photograph comes with each antique poster. 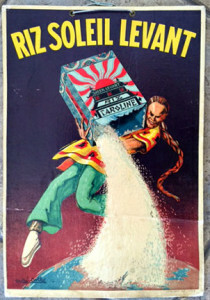 With over 20 years of experience you are free to ask about any of the antique posters that are available for purchase. 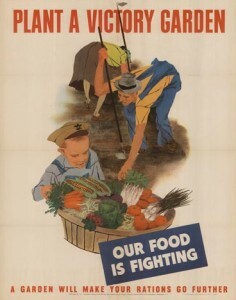 The Vintage Poster is also a member of IVPDA. 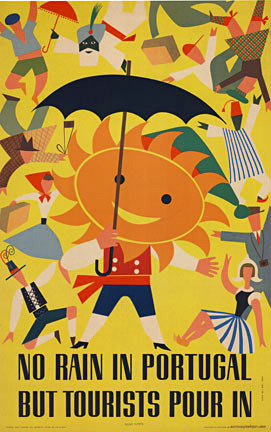 The Association was created to inform and educate the public, collectors and other buyers and to help promote the appreciation of the wide variety of vintage posters from around the globe. 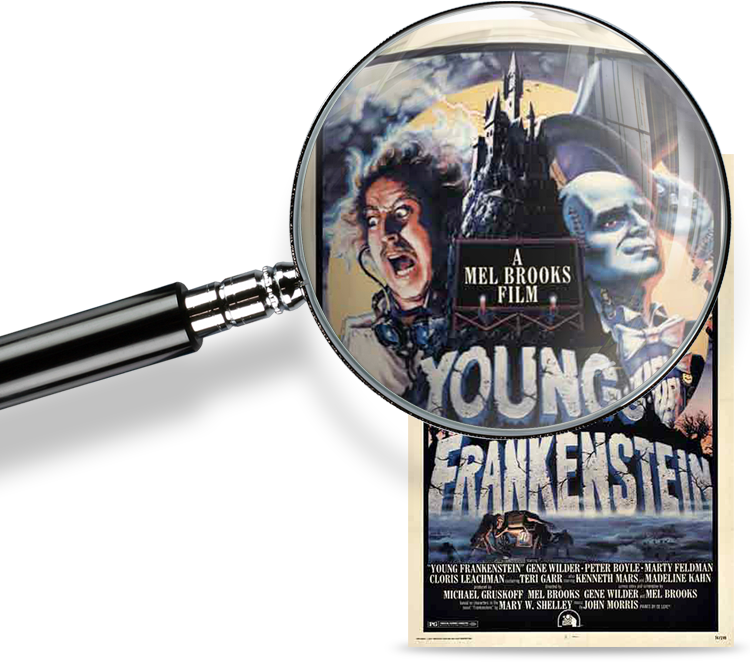 The Association members have strict guidelines to ensure the authenticity of the posters they offer for sale and to promote ethical and fair business practices. 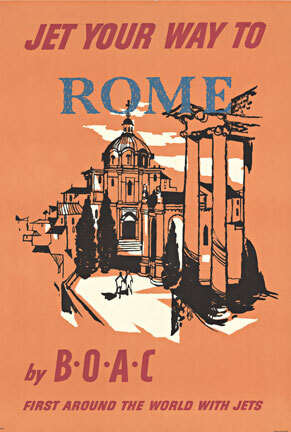 We do not sell reproductions; only originals from France, Italy, Germany, England, Poland, Belgium, Switzerland, America and beyond. Just a note to let you know the Wes Montgomery poster was a big hit. It turns out that our son is a fan of his music and studied Montgomery’s music in learning the guitar. 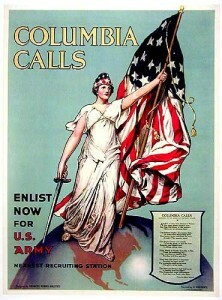 Gary & "company" have done several restoration projects for me over the years on WWI & WWII posters and do excellent work. The quality and their depth of knowledge makes it worth the time and money. We met Gary, the owner, and as he spoke we were drawn into a wondrous world of mouth dropping beauty, histories that came to life right in front of our eyes and shocking surprises !